My colleagues Jim McGovern MP, Marlyn Glen MSP and Councillor Laurie Bidwell and myself have joined together to launch a petition to refurbish Harris Academy. A petition calling for the refurbishment of Harris Academy was launched today. 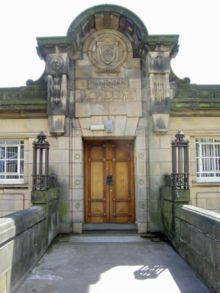 The petition, which is sponsored by Dundee West MP Jim McGovern, Dundee-based MSP Marlyn Glen, Labour Education spokesperson on Dundee City Council Councillor Laurie Bidwell and local West End Councillor Richard McCready, calls for the Scottish Government and Dundee City Council to prioritise funding for the comprehensive refurbishment of Harris Academy. Reports in today's Courier suggest that some progress is being made with regard to refurbishing Dundee's Railway Station. Dundee West MP Jim McGovern has been leading the charge on this important issue, you can read his views here. You can see my views as one of the local councillors as well as the views of my colleague Councillor Tom Ferguson, Labour's spokesperson for City Development below. Labour today welcomed plans to revamp Dundee Railway Station. Labour's City Development spokesperson, Councillor Tom Ferguson and local West End Councillor Richard McCready, have been calling for action at the station. 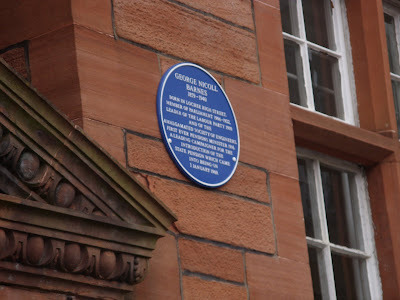 This afternoon I attended the unveiling of a plaque in honour of George Nicoll Barnes MP on the side of Lochee Library. Barnes was born in Lochee High Street in 1859, he was the Member of Parliament for Glasgow Blackfriars (the Gorbals) from 1906 until 1922. This means that my great-grandfather voted for him! Barnes was the leader of the Parliamentary Labour Party from 1910-11. He was also the first Pensions Minister, appointed in 1916. 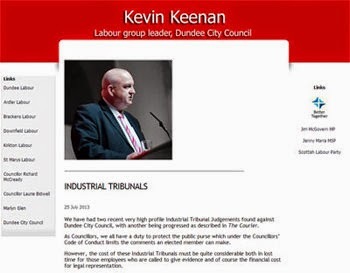 His background was as a trade union activist and the events took place today as a result of the efforts of the Dundee Trades' Council. As a historian I am always happy to see Dundee's history celebrated, it is important that we remember the struggles that have gone in the past. It was also worth spending a little time reflecting on the career of former STUC General Secretary Bill Spiers who died today. Today the SNP Government announced that they had given up on another manifesto promise. 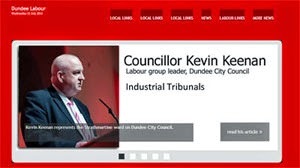 My colleague Laurie Bidwell, Labour's Education spokesperson on Dundee City Council, has made his views known about this on his blog. This is reported on in tonight's Evening Telegraph. Clearly, people who voted SNP in 2007 will feel let down, this is yet another policy pledge which has been scrapped. Please find below the response from Labour's Scottish Education Spokesperson Rhona Brankin MSP. HYSLOP’S LOST ALL CREDIBILITY - LABOUR. Scottish Labour said today that the decision by the SNP to adopt a 25 pupil per class in Primary 1 rather than a 18 maximum for Primary 1,2 and 3 was a ‘personal humiliation’ for First Minister Alex Salmond. Alex Salmond told the Scottish Parliament in September 2007 that the 18 pupil maximum pledge for Primary 1 to 3 (1)would be completed by May 2011 (see note 2). 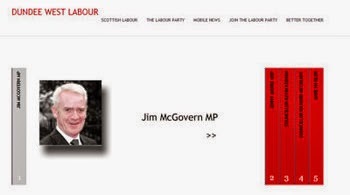 That position now has lost ‘all credibility’ according to Labour. The Education Secretary announced today that rather than legislating for class sizes of 18 in primary one to three instead the SNP will legislate for class sizes of 25 in Primary 1 only. “The First Minister told the chamber with no equivocation that his class size pledge would be delivered in the lifetime of this Parliament. It will not and he should make it clear it will not. Parents, pupils and teachers deserve the truth. This is a personal humiliation for him. “I find it astonishing that Fiona Hyslop can go in front of TV cameras and try and bluff out what is a huge policy u-turn by the Nationalists. She isn’t fooling anyone. The 18 or less class size pledge has been taken out today and quietly shot. “This is a pledge that the SNP campaigned on which will not be delivered. As with guaranteeing two hours of PE, maintaining teacher numbers and matching Labour’s school building brick for brick the SNP say one thing but deliver something else entirely. 1. “We will reduce class sizes in Primary 1, 2 and 3 to eighteen pupils or less to give children more time with their teacher at this vital stage of their development.” SNP 2007 Election Manifesto, page 52. 2. “ Hugh Henry (Paisley South) (Lab): The First Minister promised in his manifesto that he would reduce to 18 class sizes for primaries 1 to 3. I know teachers and others who voted for him on the basis of that promise. Can he confirm that his promise will be delivered in the lifetime of this parliamentary session? The First Minister: Yes, I can and that is why we have made early announcements to that effect.” Scottish Government’s Programme Statement, Official Report, 5 th September, 2007. Tonight I attended a meeting of Harris Academy Parent Council. Each of the West End councillors takes a turn to be at this important meeting. It is always good to hear about the excellent work which is going on at the school. A range of concerned parents, teachers and the school captains attend the meeting. Tonight the rector, Mr Thewliss gave a presentation on exam results. It is good to hear that he and his staff continue to work hard to improve results. It is important to focus on improving results but it is also important to remember that the exam results we were discussing represent great achievements and hard work by young people. There was also some discussion about the proposals to refurbish the Harris building, I hope that we will be able to report good news on that before long. Today elected members of Dundee City Council were given a briefing on equalities. Equalities should be important in all areas of the council's work. 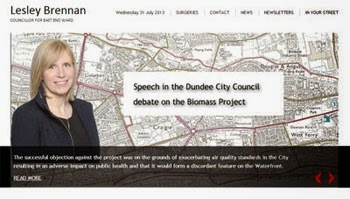 It is crucial that the council sets making Dundee a fairer place as one of our priorities. 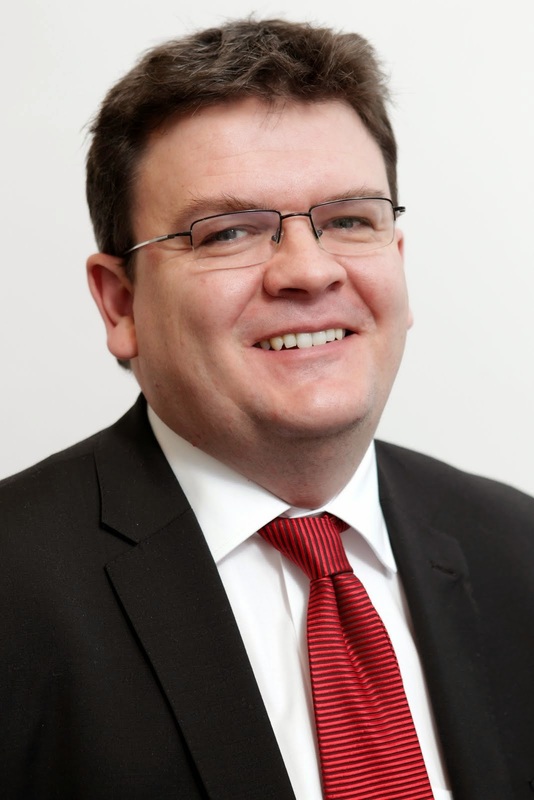 Councillor Richard McCready, Labour Spokesperson for Leisure, Arts and Communities on Dundee City Council, today congratulated the representatives of Dundee who were successful at the Beautiful Scotland awards yesterday. Councillor McCready believes that taking a pride in the appearance of our communities and a pride in our environment is very important. On Monday night there was a meeting of the Development Quality Committee, this lasted just over 10 minutes. This was the shortest meeting of this Committee whilst I have been a councillor. This reflects new laws which allow for more decisions to be made by delegated powers, it also unfortunately reflects a general downturn in the construction industry. It is important therefore that the Council does what it can to promote construction in the city, in order to secure jobs. I am glad to say that there has been more support for Labour's call to upgrade Harris Academy. Monday night's Evening Telegraph includes an interesting story about the need to refurbish the Harris. When Labour and the Liberal Democrats were the Administration of the City Council we developed plans which are already being delivered, and there are further proposals for primary and nursery schools in Whitfield, Lochee/Charleston and the West End. Our next priority would have been Harris Academy, we hope that we can build a cross-party consensus on this important issue. My colleagues Jim McGovern MP and Laurie Bidwell, Labour spokesperon on Education, have been calling for action from the SNP Administration on school building. We want to work with the City Council to bring forward proposals which ensure that Harris Academy is refurbished sooner rather than later. · The Harris Academy campus presents significant challenges for fire safety. St Paul's RC Academy and Grove Academy. All these schools were all to be funded by the Council as part of its capital plan. Note 3 Scottish Futures Trust. 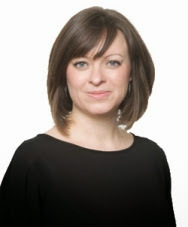 On Wednesday 17 June 2009, the The Cabinet Secretary for Education and Lifelong Learning (Fiona Hyslop)announced in the Scottish Parliament a programme of capital investment in schools through the Scottish Futures Trust. This amounted to £800 million from the Scottish Government in the form of 75% funding towards 55 new schools throughout Scotland's 32 local authorities. Which schools have been selected has yet to be announced.